When Ford first launched the Figo into the South African market back in 2010, it was pretty clear that it had VW’s Polo Vivo firmly in its sights. Even the formula was the same: a cheap, basic car based on an older version of an existing model and rebadged. But after a week in the newest Figo, I’m not so sure that’s the case any more. Between the looks, features, and tech, you get the feeling that the current Figo is aimed less at the “I can afford a new car too” market and more at the kind off people interested in small, nimble city cars. 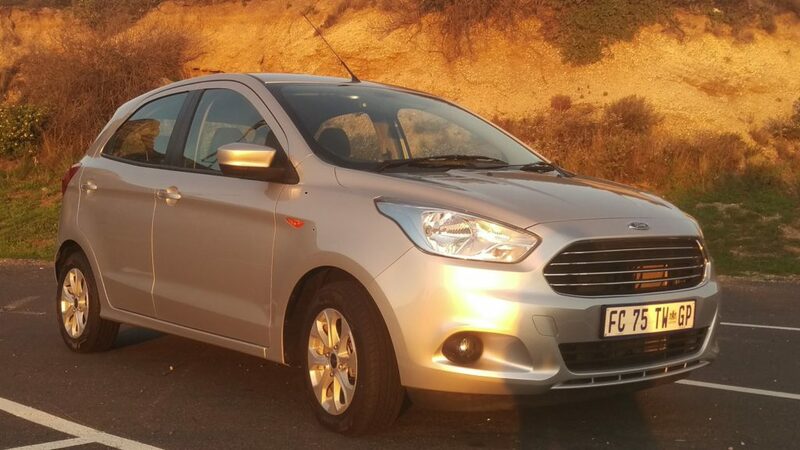 If you do a bit of research, you’ll learn that the original Figo was based on the Mark V Fiesta. Of course, anyone who’s laid eyes on one in the past couple of years, knows that “based on” meant little more than “it’s the same car with a different badge on”. That’s not really true of the newer body shape, which uses Ford’s Kinetic 2.0 design language — as do the Fusion and Focus. Don’t get us wrong, there are still deep resemblances to the Fiesta, but the lates Figo looks a lot more like something built from the ground up. That in turn means that the new Figo comes across as something Ford’s actually put a lot of thought into, rather than a hand-me-down offering for “developing markets”. That’s especially true of the 1.5 Titanium hatchback version we drove. While the old Figo looked like something a parent might buy their kid when they head off to university, the new model appears to be aimed far more at young professionals looking to climb their way up the career ladder. 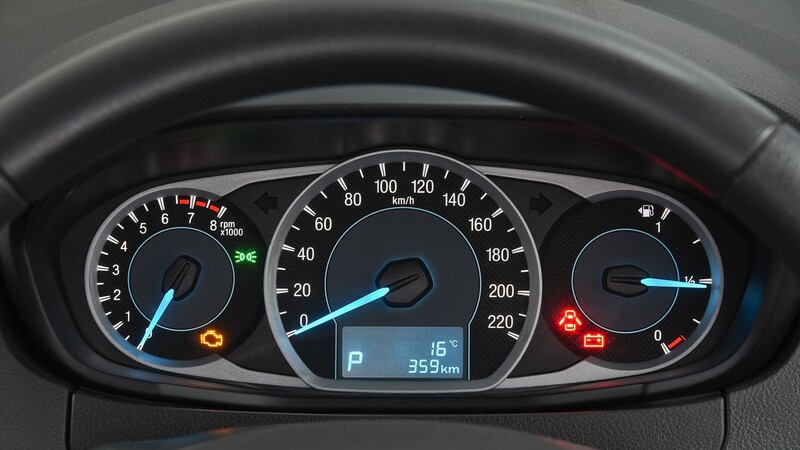 That’s not to say that everything in the Figo is brand new. 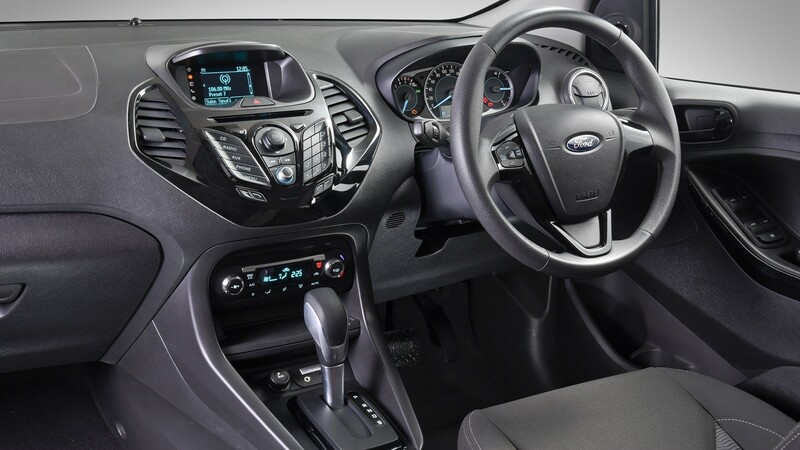 Inside, Ford’s borrowed elements from the Fiesta and Focus but in a way that makes them seem out of place. Given the segment of the market the Figo plays in, the abundance of plastic isn’t too surprising. And while it’s never an overly pleasant thing to find yourself surrounded by, this particular interior is far from the worst we’ve seen. The seats meanwhile are pretty comfortable, and the driving position isn’t bad at all. For a car this size, there’s also plenty of tech. In fact, that’s where one of the most obvious instances of borrowing from other models comes from. The infotainment system, which features Ford’s Sync system features in a couple of models, including the B Max we drove earlier this year. One fairly major issue we did have was visibility. Now this may have been because we started driving the Figo straight after a week in the enormous WildTrak, but from a driver’s perspective, the side mirrors and rear window in particular seem just that little bit too small. It’s not too much of a problem when you’re doing low-speed city driving, but when you’re trying to get onto a busy highway, that lack of visibility can be pretty damn scary. Perhaps the biggest black mark against the Figo however is that if you do find yourself in a spot of bother, you probably won’t be able to accelerate your way out of it. To be fair, we can’t say that in confidence about the whole range. It may well be that the rest of the new Figo range has the kind of zip we’ve come to expect from small Fords, but we just didn’t feel it in the model we drove. Even with its 1.5l engine, the top-of-the-range Titanium we drove had serious lag every time we tried to speed up. To a large degree, that lag came down to automatic transmission in the model we had. There were times, especially when we desperately needed a turn of speed, that it was nothing less than ponderous. That’s a pity, because in many other respects the Figo is actually a pleasure to drive. The steering and brakes are sharp, the handling is firm (but not overly so). 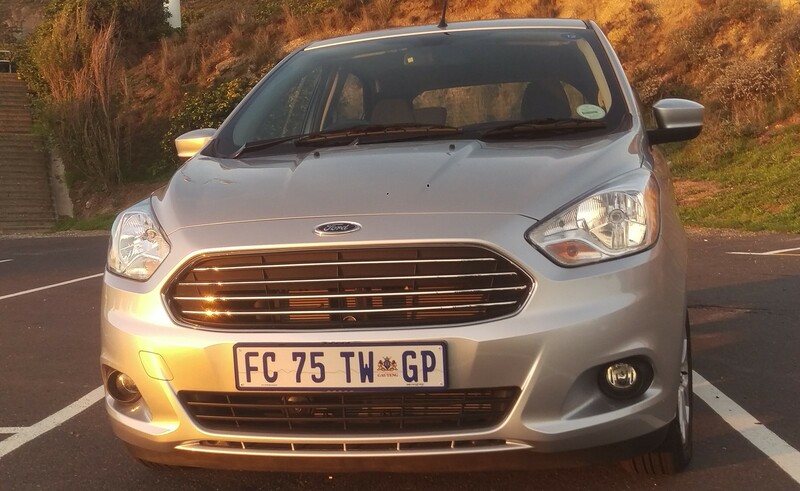 Without that lag, the Figo wouldn’t just be a good entry-level car, it would be a very good small car. Full stop. As things stand though, it’s certainly better-looking than the Vivo it seems so desperate to beat but as an all round package, you may be better off ignoring those two altogether. What should you look at instead? Well it may be due for an update, but as an all-round package, we still think you’d have a hard time beating a Suzuki Swift.